You’re a sophisticated marketer. 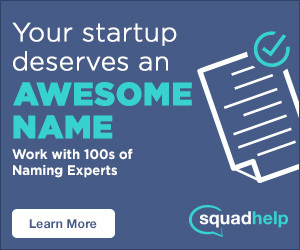 You know that great names aren’t scribbled on a cocktail napkin at an impromptu brainstorming session after work. You’ve run your list through a preliminary trademark screen and you’re ready to pull the trigger. But have you done a linguistic check? Laurel Sutton is one of the co-founders of Catchword, a Bay Area naming firm. She now focuses her expertise on linguistic analysis at Sutton Strategy (suttonstrategy.com). I can’t believe it, but I launched my naming blog over four years ago. At the time, I was working for a startup in Seattle and was inspired by the entrepreneurial energy. I made the commitment to launch a blog, but there seemed to be a blog for everything, even strange things like, Ryan Gosling’s Disneyland Cats, so I set a few requirements to structure it. I’ll just come out and say it, there are a lot of unknowns when starting a company. Early stage founders are forced to enter unfamiliar territories, make gut instincts and wear multiple hats in order to keep this ship sailing in the right direction. One of these early obstacles is coming up with memorable brand name. And while choosing a business name may come easy for some, for most, it can be a lingering headache. There’s no magic formula for choosing a brand name. To make matters worse, even when you discover what you think is the perfect name, you’ll continuously second guess yourself. Most understand the basics of forming a memorable brand name: keep it simple, short, unique, flexible and easy to pronounce. But then it starts to get a little grey. Should it be suggestive or descriptive? Empty vessel or compound? Acronym or misspelled? Or perhaps a real word like Apple or Amazon?